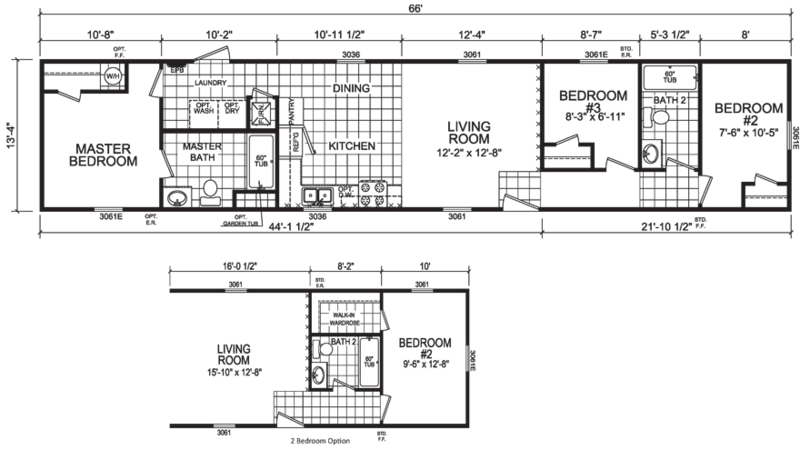 The Darien model has 3 Beds and 2 Baths. This 879 square foot Single Wide home is available for delivery in Indiana, Illinois, Michigan, Ohio, Kentucky, Minnesota, Iowa, Missouri, Wisconsin. 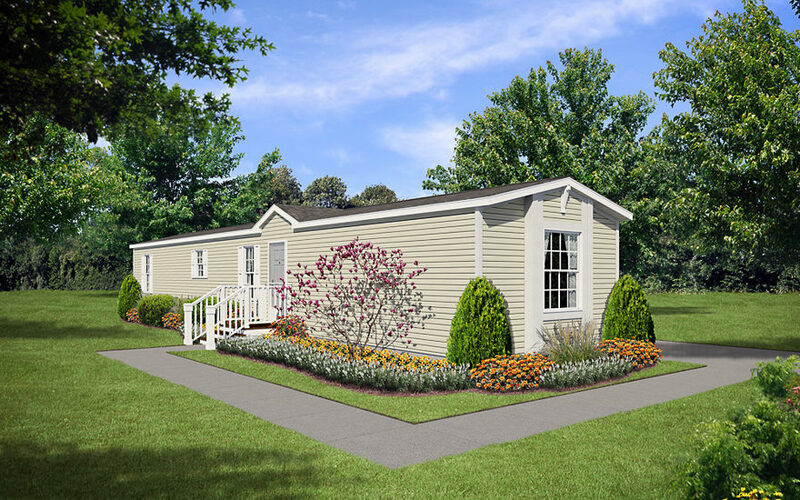 This model might seem small at first glance, but the layout is designed to accommodate a family of three or more. Discerning manufactured home buyers looking to strike a balance between affordability and size might find the Darien to be a perfect fit. The guest bedrooms are nestled on one side of the home while the more private master suite is fixed on the other side. 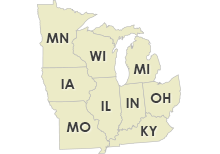 Ask your housing consultant about the other great features that come standard on the Darien manufactured home.